This article is part of an on-going original series written by Caitlyn Jenner for WhoSay called "The Real Me," which will explore issues and people in the LGBT community. Hi friends. What a week. Let me just start by saying, I'm so happy it's over! What a relief. Over the last month, I was so worried about what to wear. Donatella Versace reached out to me and said, "I want to do the dress." I said, "I am SO in." We started with designs; they made the dress in Italy. Her head dressmaker came over and we did two fittings to make sure we got it just absolutely perfect. It was like every fantasy of my life come true. Getting glamorous for the ESPYs was a big process to go through, but it was amazing and so much fun. I really wanted to feel real comfortable up there (although there was a corset under that dress, so I don't know how comfortable I was!). I wanted to feel good. I wanted to feel pretty. I wanted to be myself. I didn't watch the ESPYs live because I would start to lose it and I had to go out in front of all of those people! So I stayed backstage, got ready, and walked in on the commercial break before the award was presented. The video piece before my speech was so well done. I have to thank Rebecca Gitlitz and the team at Maggievision who produced it. She put so much time and energy and traveled all across the United States to do that. I couldn't let myself get too emotionally invested while watching it during the show because I knew I'd lose it. Of course I was nervous about tripping as I walked up to the stage! That gown was long and tough. Abby Wambach actually helped me up to make sure I didn't trip. She did a great job with the introduction and I want to thank her for doing that. She was so excited. I told her beforehand, "Abby, we have to have this picture of the two of us up there on stage -- you in a tux and me in a Versace gown. THAT is the picture of the ESPYs right there." When I came up on stage, we stood there, held hands, and took a little bow. It was fun. It kind of lightened things up a bit. Reading my speech off of the teleprompter was a whole other story. As a dyslexic kid, my biggest fear in life was to go in front of the class and read because I just wasn't very good at it -- and that stays with you through your whole life. That's why all of my speaking engagements through the years have been always off the cuff. I'm better off getting up there knowing what I'm going to say and doing it. But at the ESPYs, I really had to stick to the prompter because I only had a certain number of minutes to make it right, to get my points across. I practiced, and practiced, and practiced, and practiced to make sure I'd nail it. 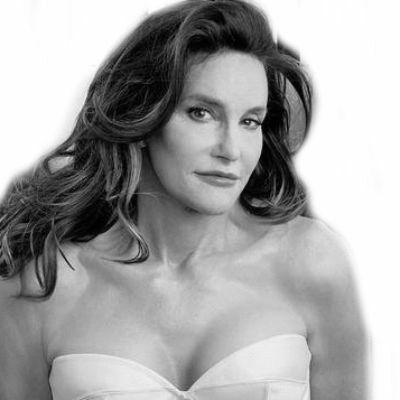 For more information on the transgender movement, see a list of resources at CaitlynJenner.com.